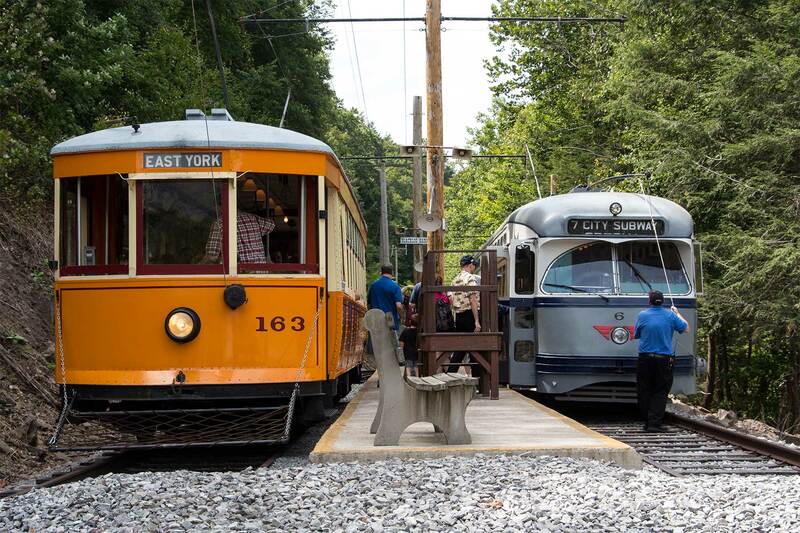 At the Rockhill Trolley Museum, two trolleys gather at the end-of-track at Blacklog Narrows. Car 163 came from York (Pennsylvania) railways while PCC 6 helped finish the rein of streamliners on the Newark City Subway. At the Pennsylvania Trolley Museum, restored Pittsburgh Railways PCC 1711 shows off its extra features (roof light, pilot) which equipped it to run on interurban lines to Washington, Pa. and Charleroi, Pa.
PAT Pittsburgh 4301 was built by CAF in Spain and is operating as a two-car train leaving Station Square outbound to Castle Shannon. 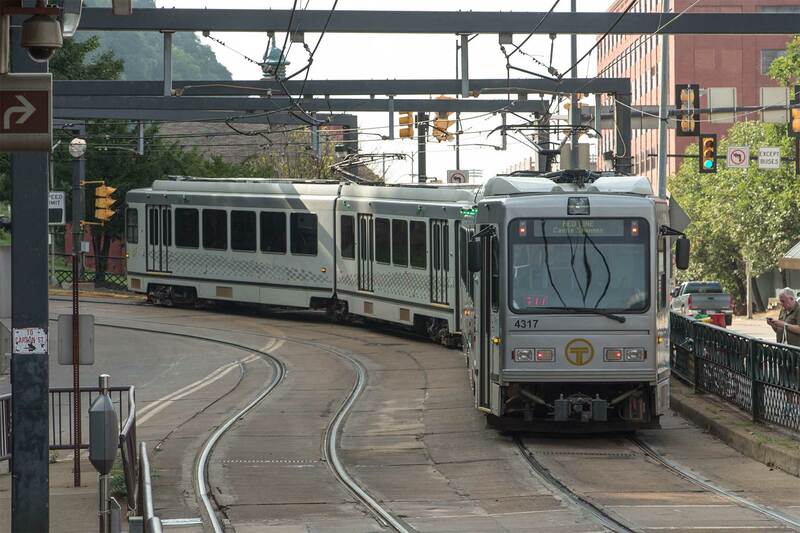 Pittsburgh’s PAT light rail trains still use the 3,500 foot South Hills Tunnel to reach its two suburban rail corridors for points south. Images from the MNYBA Pittsburgh trip in August 2013. The Electric Railroaders’ Association is pleased to announce an exciting three-day weekend tour from Saturday, October 14 through Monday, October 16. We will visit the Rockhill Trolley Museum, The Pennsylvania Trolley Museum, the Port Authority Transit South Hills maintenance yard and end the tour with dinner at the famous Shady Maple Smorgasbord in Pennsylvania Dutch country. 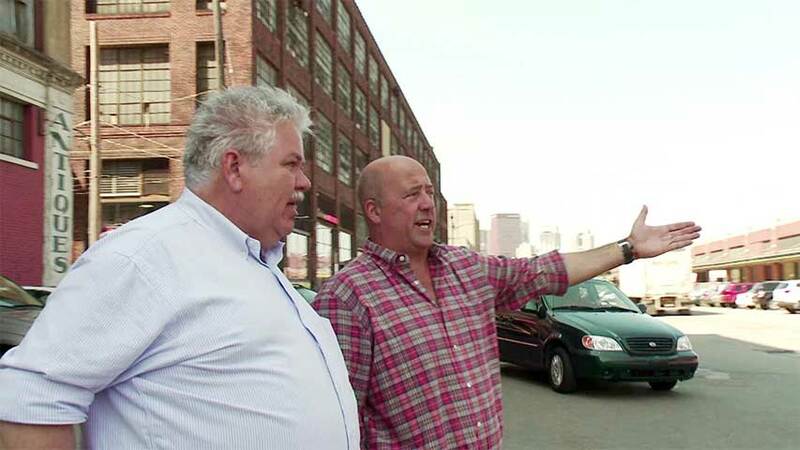 Andrew Zimmern of the Travel Channel’s Bizarre Foods America counts down his top five moments in the Steel City. Our weekend begins with a chartered motor coach ride to Pittsburgh. We will depart at 8 AM sharp from 41st Street and 8th Avenue in front of the New York Times Building, directly across the street from the Port Authority Bus Terminal. Before arriving in Pittsburgh, we will stop in Rockhill where we will visit the Rockhill Trolley Museum. 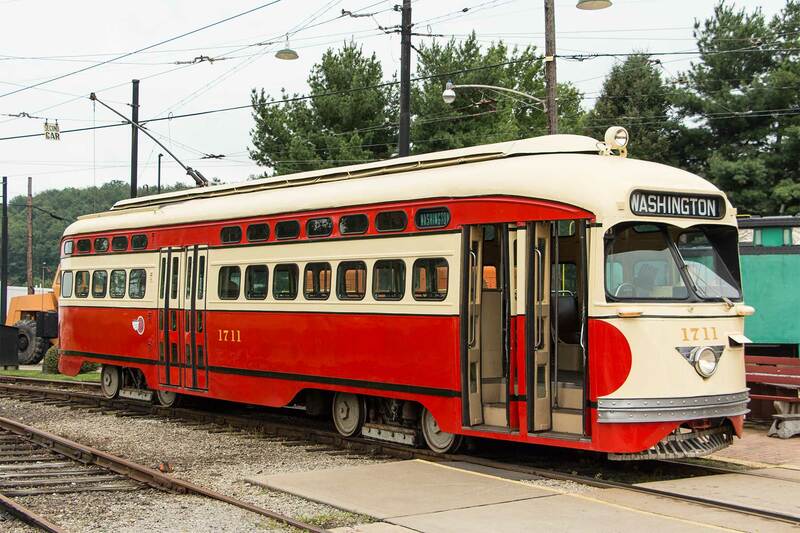 The museum is known for having a wide variety of rolling stock with over 20 cars, including PCC cars, the Red Arrow Liberty Liner, a Philadelphia Bridge car and a San Diego LRV. We will then travel to our hotel, the DoubleTree by Hilton Pittsburgh Downtown. Have a complimentary warm cookie. After a hearty complimentary breakfast at the hotel, we will be picked up by a historic Old Look bus in a Pittsburgh-area paint scheme and will travel to the Pennsylvania Trolley Museum. This museum features a very large Pennsylvania-themed collection from streetcars to rapid transit cars. In addition to a trolley ride, we will tour the collection barns. 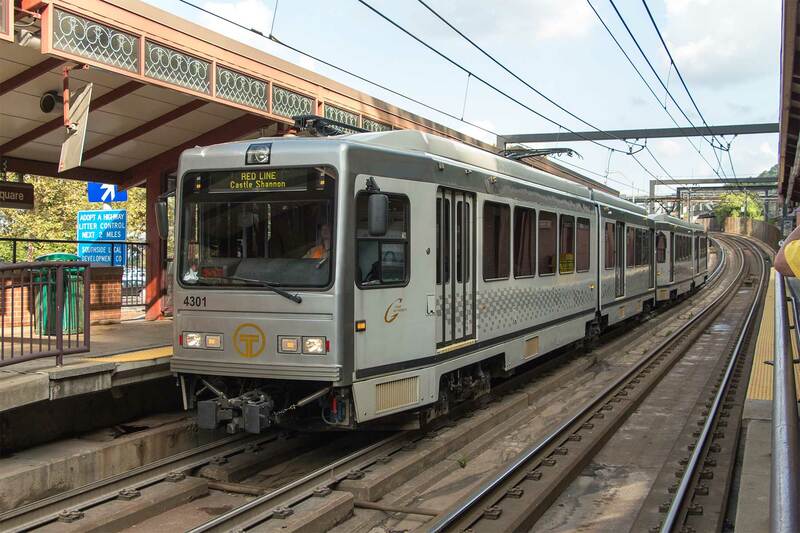 After the visit is completed, we will drive to the Library stop of the Pittsburgh Light Rail system where we will hop on a Port Authority LRV and enjoy a ‘T’ ride back to downtown Pittsburgh. The afternoon will be on your own to further tour the city. The ERA Pittsburgh Weekend is only $395 per person, double occupancy; for single occupancy, add an additional $160 per person. That includes transportation costs, museum admissions, lodging, breakfast for two days and a Pennsylvania Dutch buffet dinner. Other meals and transit fares are not included in the ticket price. Orders are due by September 9, 2017. Book your tickets ASAP! For further information, contact Robert Colorafi using our online contact form, or call Michael Glikin at 917-714-7087.